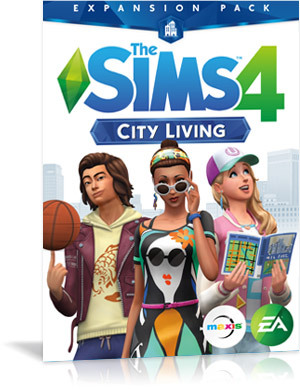 Take your Sims to the city! Explore a bustling urban center with a variety of neighborhoods, each with their own unique personality. Experience the city by visting different districts with their own skyline views and activities. Tip the street performers, enter competitions and visit different food stalls at the festival. Decorate your Apartment or build your own Penthouse! Start out with a small apartment in the cities and work your way up to the penthouse of your dreams. 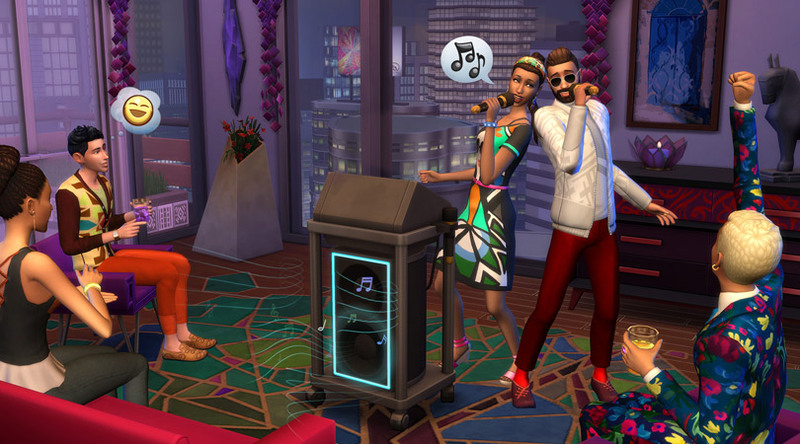 San Myshuno is a vibrant new world in The Sims 4 City Living expansion pack. There are different districts to explore. One of them is the Arts Quarter. You can make a graffiti painting on every building or street. In the luxurious fashion district you can sing your heart out at the karaoke bar and at the Spice Market you can shoot hoops or hang out with friends. Uptown is very pricey to live but you get the best view. Collect snow globes by searching in cardboard boxes at the streets of San Myshuno. Every apartment in San Myshuno has traits. 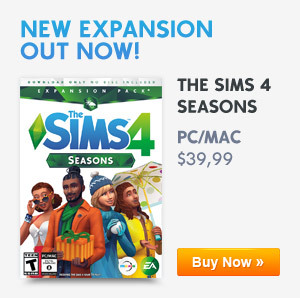 This will be easier for your Sim to choose the best apartment for their needs or available funds. When looking for an apartment as a family, pick the apartment next to good schools for better grades. Or when you have an artistic Sim, choose the apartment what has the trait; Home Studio that will let you paint on the floor or the walls. When you don’t have the cash for a luxury apartment, you can choose for a cheaper one. But you’ll have to accept the apartment will have flaws. It can be haunted, filthy or have mice running around the house. Neighbors can be loud, romantic or they can come by to ask if they can take a shower at your place. When you have close friends, you can give them a key to your apartment so they can pop by to hang out. Play multiplayer games on the new console or sing karaoke to bond with your neighbors. 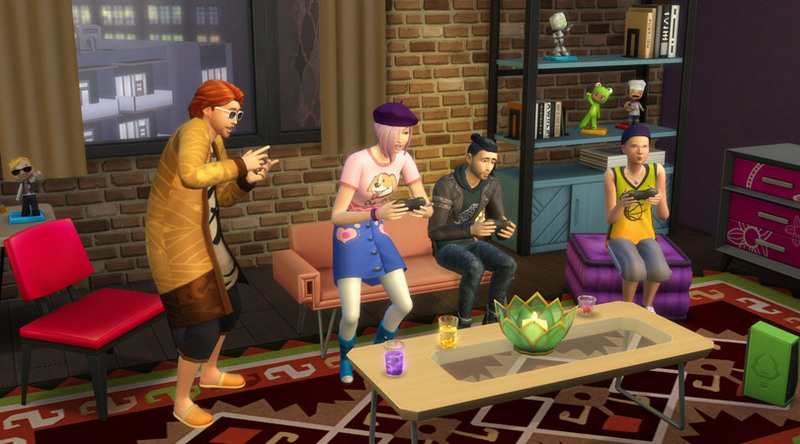 3 news careers will be added when you have The Sims 4 City Living. Politician, Food/Art Critic or Social Media specialist. As a starting Politician your Sim can protest on the streets of San Myshuno, or if they move up in the career, they can give speeches to the crowd from their podium. Festivals are like venues that come and go with new gameplay, different food stands and street performers. 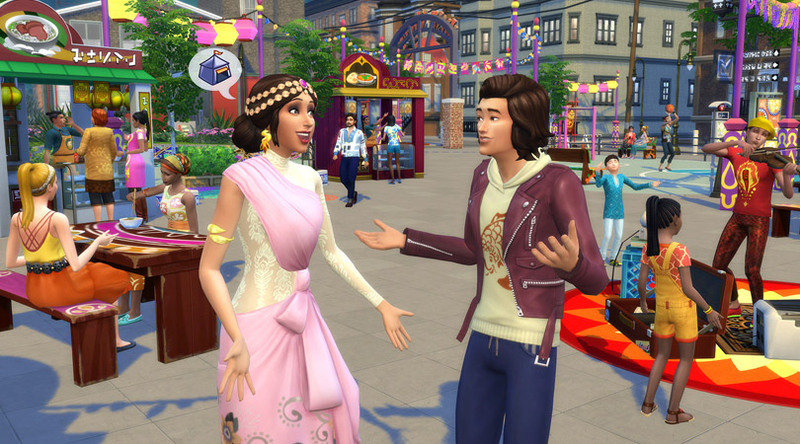 Every neighborhood has a different festival so pick the ones that will fit the needs of your Sim like Geekcon! Buy items at the flee market like t-shirts, spices or fireworks. Build up this new skill by visiting karaoke bars on the new venue type and practice this skill. You can sing jazz, pop, disco and more. Sing solo or do a romantic duet. Previous ArticleAll about apartments in The Sims 4!Next ArticleLot traits now added in The Sims 4!